Among the different types of protective coatings in use, painting and galvanization are commonly utilized. Another type of corrosion-resistant coating is becoming more and more popular in Canada and the United States for protecting engineered structures: metallizing. Metallizing is an anti-corrosion treatment that consists in spraying molten metal, usually 99.9% pure zinc, at high speed onto the surface to be protected. The zinc instantly solidifies upon contact with the surface and creates a coating that protects the steel through the means of insulation and sacrificial action. As a result of this electrochemical process, the less noble metal, in this case zinc, will corrode instead of the steel. Galvanization is proportionately limited to the size of plant basins and is normally used to treat secondary bridge elements, such as bracing and guardrails. With metallizing, however, there is no limit as to the size of components that can be treated; this process can therefore be used to protect primary members. The Canam Group painting and metallizing plant in Quebec City has a surface area of 36,000 sq. ft. (3,345 m2). 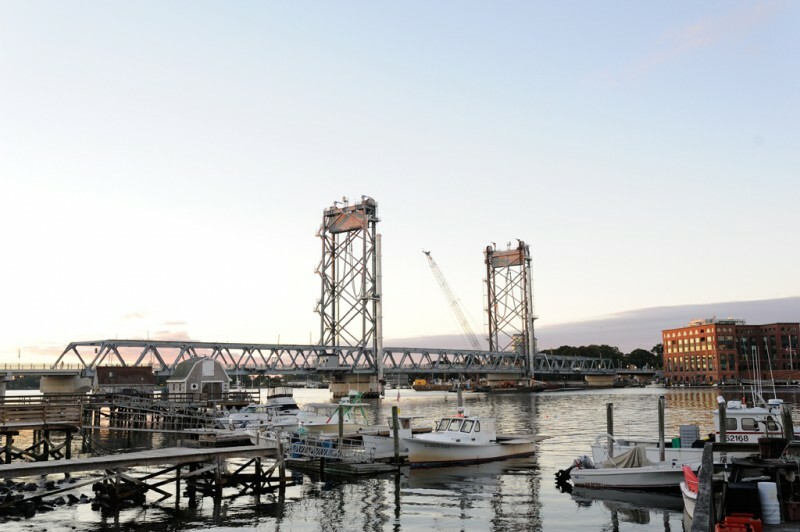 Memorial Bridge, which links Kittery, ME, and Portsmouth, NH, was entirely metallized at the Canam Group plant in Claremont, NH. The painting and metallizing area of this plant is 42,400 sq. ft. (3,940 m2). In addition to providing an anti-corrosive finish, the selected coating should also have a slip coefficient that meets the requirements of slip-critical bolted connections. North American bridge design specifications (Canadian Highway Bridge Design Code (CHBDC) CAN/CSA S6 and American Association of State Highway and Transportation Officials (AASHTO) Load and Resistance Factor Design (LRFD) Bridge Design Specifications) dictate that bolted connections must be slip-critical if they are subjected to load reversals, impacts, vibrations or if slippage could be prejudicial to the structure while at service load levels. The resistance of slip-critical connections is dependent upon the friction between faying surfaces when subjected to shear stress. The condition of these surfaces is therefore a crucial parameter in the resistance of such connections when they are in service. When designing slip-critical connections, the engineer must know the slip coefficient of faying surfaces in order to make the necessary calculations. While existing design codes specify several types of surfaces, they do not provide the slip coefficient for faying surfaces that have been metallized. 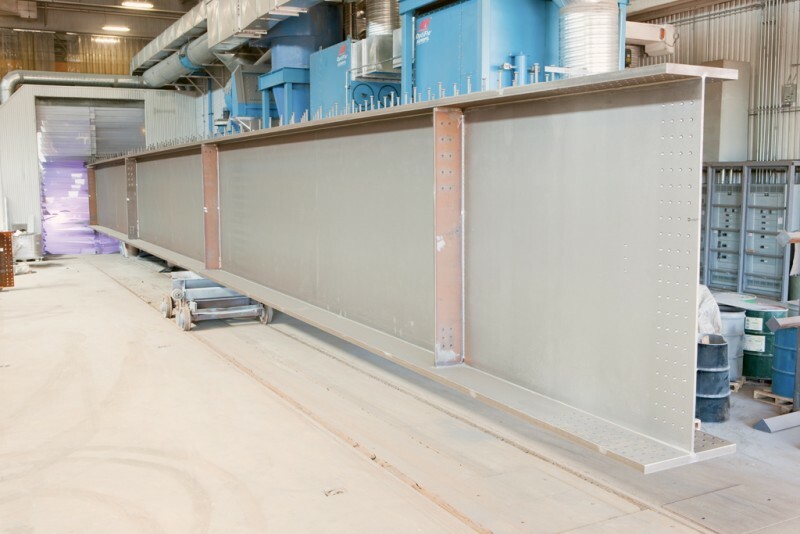 For the time being, bridge fabricators generally mask the faying surfaces of bolted connections prior to metallizing. This is a highly labor-intensive task and incurs additional construction costs because the masking, which is composed of adhesive tape, cardboard or steel plates, is applied and removed manually. The slip resistance of metallized connections is currently being studied in order to reduce fabrication costs and protect steel surfaces more effectively. The Research Council on Structural Connections (RCSC 2009) outlines the standardized method for qualifying the slip resistance of coatings. This method involves two operations. First, short-term slippage testing is performed to evaluate the mean slip coefficient. 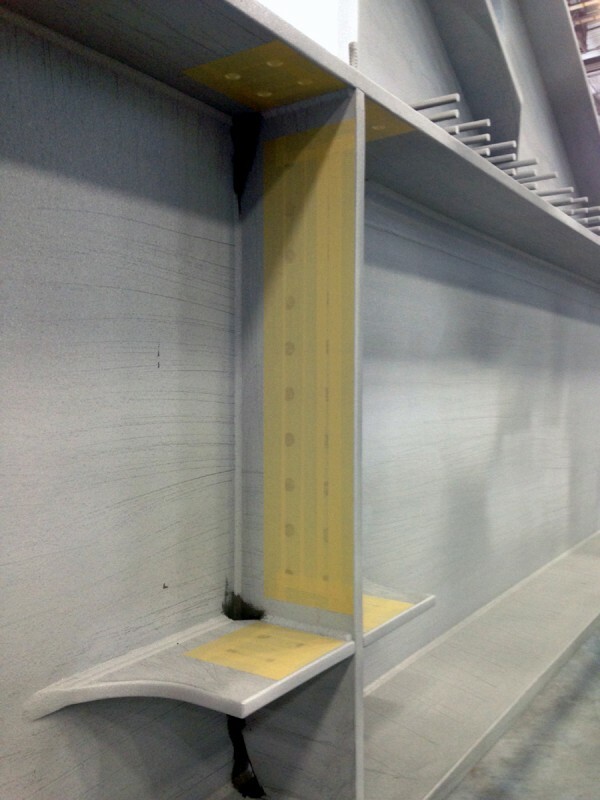 If results are satisfactory, a long-term tension creep test is carried out to ensure that the coating does not undergo significant creep deformation while under constant tension and that the creep does not adversely affect the long-term resistance of the connection. In 2012, Laval University and Canam-Bridges launched a joint study of the slip resistance of metallized connections based on the method set out by the RCSC. The mean slip coefficient was obtained by conducting five similar tests for each combination. The results were highly conclusive. In fact, of all the tests that were conducted, the lowest mean slip coefficient observed was 0.77. This number was obtained for a connection featuring a 6-mil metallized coating, a bolt preload tension force equivalent to 90% of its maximum tensile strength, a plate thickness of 15.9 millimeters (5/8 inch) and zero burrs. This figure is well above the highest slip coefficient specified by North American standards, i.e. Class B, which indicates a mean slip coefficient of 0.50. The mean slip coefficients of all other tested parameter combinations were all above 0.77. 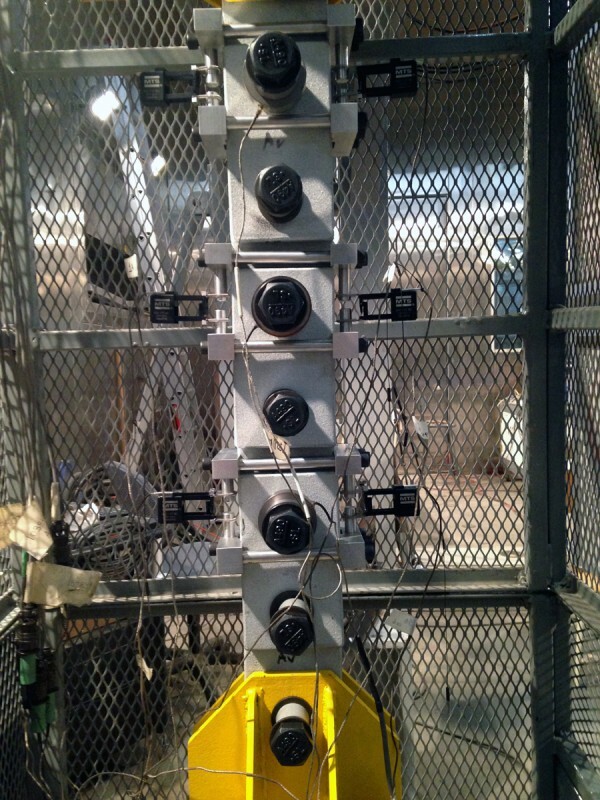 In each test, three replicate connection assemblies are placed in a row under a sustained tensile load for a period of 1,000 hours. The deformations caused by the creep must be within the limits stipulated by the RCSC. Thus far, all test specimens display excellent creep behavior for a slip coefficient of both 0.50 and 0.55. The limits were also respected in all cases. If the current trend in creep testing continues, the satisfactory slip performance of metallized faying surfaces could result in a revision of North American design standards that would eventually include a class specifically for metallized coatings that’s higher than Class B, i.e. a slip coefficient above 0.50. As a result, the masking of faying surfaces would no longer be required, which would act to reduce fabrication costs and increase the protection of steel faying surfaces. 2012. AASHTO LRFD Bridge Design Specifications, 6th Edition, Washington, D.C.
Annan, C-D. & Chiza, A. 2013. Characterization of Slip Resistance of High Strength Bolted Connections with Zinc-Based Metallized Faying Surfaces, Elsevier, Engineering Structures 56. CAN/CSA S6-06. 2006. Canadian Highway Bridge Design Code, Canadian Standards Association, Mississauga, Canada. Kulak, G. L., Fisher, J. W. & Struck, J. H. A. 2001. Guide to Design Criteria for Bolted and Riveted Joints, 2nd Edition, Research Council on Structural Connections. Ocel, J. 2014, “TechBrief: Slip and Creep of Thermal Spray Coatings,” FHWA-HRT-14-083, Federal Highway Administration, McLean, Virginia, United States. Research Council on Structural Connections (RCSC). 2009. Specification for Structural Joints Using High-Strength Bolts, American Institute of Steel Construction, Chicago, Illinois.